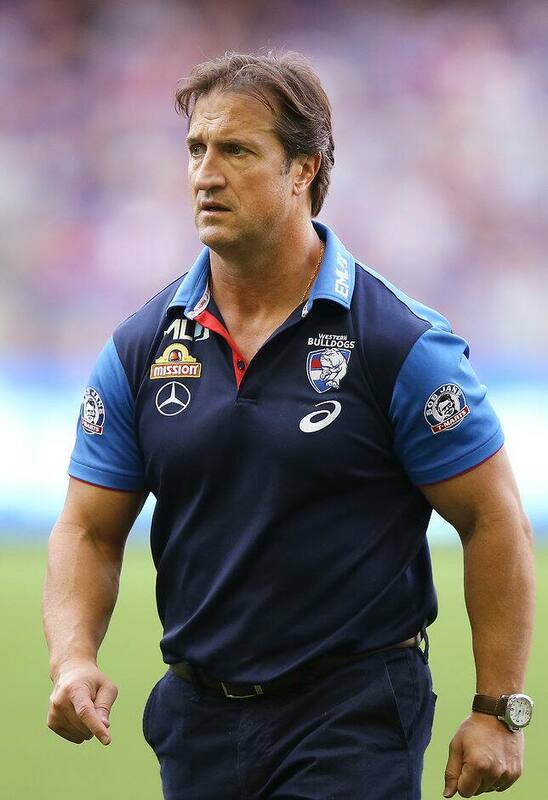 A quick look at some of the key talking points from Luke Beveridge’s Round 4 pre-match press conference. It’s a bit of a coup for us. He’s already been pretty influential, only a second-year player and he’s got a really bright future obviously. We’re rapt – it’s great news. He’ll probably play, that’s probably fait accompli. It’s just who goes out of the side. They’ll play against Collingwood in the VFL on Friday afternoon. He’s been out of it for a while. He’s put together some really strong training sessions in recent times, but match fitness as we know is another thing. I think it’s going to take a little while. Even this week, he’ll be on limited game time just to make sure he gets through, and we’ll build from there. It will be a number of weeks before he’s available I would have thought. How big is a Friday night game for the Bulldogs? Our commercial team and our fan engagement team, (and) the whole club starts to buzz, and I think hope that the boys play well because you want to make a good impression on the big stage on a Friday or a Saturday night… It’s just re-establishing yourself as a team, as a side, as a club that warrants being put in those timeslots. Friday night’s an opportunity to play really well against a good side in Collingwood, and to give everyone a stronger impression that we’re heading in the right direction. You’ve got a good recent record against Collingwood – does that help this week? It’s a bit of ‘that was then, this is now’ … it is a hell of a lot different. Obviously they had a boom year last year and almost pulled it off, and we were going through different challenges… (This year) we like our prospects. We obviously need to earn respect and gain the notoriety that we’re after, but it is a whole new ball game and we’d love to continue to improve that record as time goes on. Time will tell. How big a test is this week? I don’t think we’ve really got a handle on the form line of the competition yet. We think Sydney are a good team, we think Hawthorn are a good team and we’re respecting Gold Coast. Gold Coast have won four of their last five games and they’ve got a competitive brand happening at the moment. Even where Collingwood are at in the scheme of things, no one really knows. What was the impact of the Gold Coast loss? (The boys were) naturally disappointed. The first quarter was a little bit of a train wreck, we gave up six goals. The important thing was we didn’t panic, we remained composed and from giving up such a heavy score-line in the first quarter then to keep them to such a low score for the last three quarters was a good sign for us… Our ball use just wasn’t good enough forward of centre… It was frustrating and disappointing ultimately. You live and learn. We’re doing a lot of things right, btu we’ve just got to put the icing on the cake. It’s a great milestone, it’s a great achievement for Tory. Our supporters call him ‘Dead Eye Dicko’ – he has been a reliable converter over the journey, and we haven’t had a hell of a lot of those over time. When you reflect back, I think he probably played one of the best games that anyone’s ever played for our football club when he kicked kept Heath Shaw quiet and kicked four goals in that preliminary final up there in 2016. It was just an amazing performance… He’s been crucial to us in successful times, and he’s helping us build again.